Being simple is really boring! You need to dramatize your thoughts and feelings, after all it is the auspicious month of Ramadan and Eid. Take a look at this sensational gift box that looks like a chest of treasure and present it to someone you love dearly. 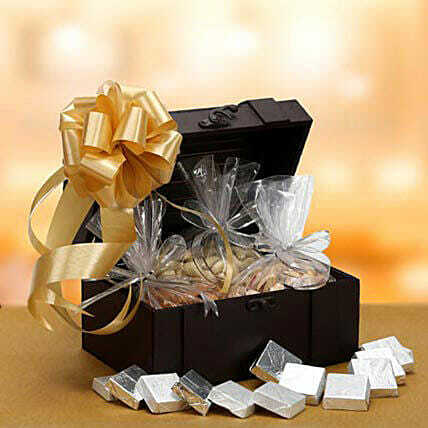 The assorted chocolates and dry fruits packed like small treasures would be loved by your people.